While we endeavor to use the correct image for each product we may occasionally substitute an image with a similar product image if the correct one is not available therefore images are for illustration only and may not represent the product exactly. Please also be aware that each monitor can display colour differently so the product may not look exactly the same colour as it appears on the screen. Except where expressly stated to the contrary all persons (including their names and images), third party trade marks and content, services and/or locations featured on this Website are in no way associated, linked or affiliated with BBD Pet Products (www.bbdpetproducts.com) and you should not rely on the existence of such a connection or affiliation. Any trade marks/names featured on this website are owned by the respective trade mark owners. 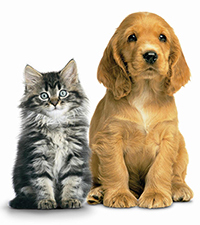 Where a trade mark or brand name is referred to it is used solely to describe or identify the products and services and is in no way an assertion that such products or services are endorsed by or connected to BBD Pet Products (www.bbdpetproducts.com).